Question: What was the tallest mountain on earth before Mt. 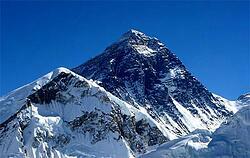 Everest was discovered? I know, groan. But this terrible riddle makes an important point. Just because you don’t know something exists, doesn’t mean it doesn’t exist. You likely have problems and challenges in your company about which you are fully aware. These are your known knowns, and you are probably working to address them. But what about your unknown unknowns? How can you address opportunities for improvement that you don’t know exist? Like lakes, valleys, and mountains, opportunities to use Kaizen can be found intentionally or by accident. In business you’ll know you’ve accidentally found an opportunity for improvement when there is a bad outcome. Customers are angry, or worse, injured. Products are returned due to defects. Operating costs spike. Revenue drops. When these crisis situations emerge, you can be sure it’s time for Kaizen. Finding problems this way is a bit like driving your car into a swamp you didn’t know was there; not ideal. The alternative is to form a team of Kaizen explorers who go on the hunt for your unknown unknowns before an emergency makes them evident. Where does one find a Kaizen explorer? Like Everest, they have been there all along. Every employee in your organization has the potential of Ferdinand Magellan. Although the early explorers who mapped the earth were often cut off from civilization and sometimes had to wait years to share their discovery, your team faces no such challenge. Today it is simple to provide easy access to tools that will help your team report and resolve each opportunity for improvement they find. The literary master Marcel Proust once said, “Discovery consists not in seeking new lands, but in seeing with new eyes.” When your team looks with the eyes of Kaizen, you never know what they might unearth.